Harry Peel was a drummer. He played what John Kilzer sometimes referred to as a ”big bongo.” I loved to listen to his playing, but I was also one of his doctors. I have to be honest: Harry was a terrible patient. He would nod along in agreement whenever I told him he needed to improve his lifestyle to better-manage his diabetes and his heart disease, but I knew he was probably not going to do it. He marched to his own beat. After all, he was a drummer. When John Kilzer started his music-based recovery ministry known as The Way, Harry immediately signed on as the drummer. John called the band “The Harry Peel Orchestra.” It was sort of a joke, but not really. John and Harry played together for over 30 years. They were like brothers, which was both good and bad. One time when I knew they were not getting along very well, I was talking to Harry about a gig John had played. The  people had not paid John what I thought was reasonable to pay him. Harry indignantly said, “Don’t those people know he is JOHN KILZER?” Harry was true to John even when they were going through a rocky patch. Because of his diabetes, Harry’s foot had very poor circulation. We tried everything we could to improve the blood flow, including multiple surgeries. Those helped for a while, but then we had to amputate his foot. What could be worse for a drummer? I would see Harry in the clinic. I could tell he was down but he kept going. The beat kept going. Then one day he was back playing at the Way. The big bongo was back. It was exciting, and I could tell John was pleased. Then all too soon Harry didn’t show up for a gig at the Blue Monkey. Who would now keep the rhythm? Harry died sitting in his chair. Harry Peel played the drums for almost every successful musician that has played in Memphis over the last 30 years. People didn’t always know his name but they could feel his beat. Harry was a drummer. I will always remember him playing with John Kilzer. The Way’s band will always be the Harry Peel Orchestra for me. He was never the guy out front, but he proved you can make a difference in life by being the guy who keeps everyone else on track by keeping the beat. Thank you, Harry, for teaching us that lesson. My brother in law, John, is a world-renowned nuclear physicist. He is the Chief Technical Officer and former CEO of TerraPower, a company owned by Bill Gates that is developing a safe, small nuclear reactor being built in China. It will supply power for 200,000 people without creating weapons-grade plutonium. Only the Chinese are interested in the technology because it is expensive to build and the US believes we have an abundance of energy in the form of natural gas and shale. While this is true, these are the exact fossil fuels that are leading to climate change and that have long-term adverse implications for the environment. Will we ever learn? While I’m pleased that the Keystone XL oil pipeline won’t be built, we still have a long way to go until we take consistent, active steps to being good stewards of our planet. As Christians, we are called to care for God’s creation and treat it with sanctity. John has never openly believed in God. He is, at best, an agnostic. He loves to discuss issues of the universe but has never seen the need to believe in God. Recently, he and I were talking while overlooking San Francisco bay. We were discussing the short sightedness of the American energy policy when he began to wax poetically about the uniqueness of our planet, how Earth possesses every single thing needed to support life. He then described the number of planets in our galaxy and pointed out that even if there is a “Goldilocks planet” – a planet with the exact conditions needed to support life – out there, it is not remotely close to us and without changing the dynamics of physics we would never be able to reach it. He continued to speak about how special our planet is and how we must care for it at all cost because we can never replace it. The unique qualities could never be replaced. He didn’t exactly come to claim he believed that we are here because we are creatures of God, but his smile made clear his willingness to consider the possibility. Pure chance does not seem a reasonable answer to the question of how we came to be. I find it remarkable that one of the most religious countries in the world, America, is a leader in harming our truly irreplaceable Earth. We are unwilling to do what it takes to care for the planet despite the fact that in Genesis, it is one of the first things God commands us to do (Genesis 2:15). 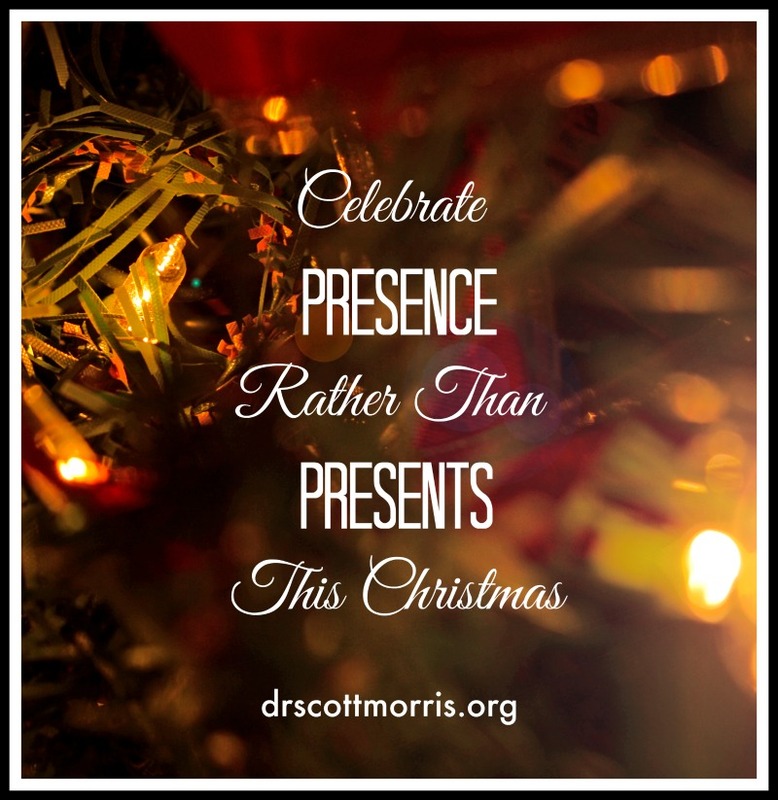 As Christians, we are mandated to be good stewards of this place that sustains us. My agnostic, physicist brother sees it. Why can’t our God-fearing leaders? Last week, I was on a walk while on vacation near San Francisco. It was an extremely pleasant day. Nevertheless, one person after the other walked past me without saying a word. Everyone seemed preoccupied. Finally, a man got out of a truck and greeted me. “It’s another beautiful day!” he said. I agreed. Then he added, “It’s why we live here.” He seemed pleased with his statement. I thought to myself, Really, you chose your home based on the weather? Maybe that was just something to say to a stranger, but it got me thinking about why we chose to live in Memphis. I doubt it is because of the weather, and there are certainly other places that are more aesthetically beautiful. We don’t have mountains and we don’t have an ocean; we have a big, muddy river. So why choose Memphis for our home? To start with, I cannot imagine walking down the street here and not being spoken to, stranger or not. People here know that our greatest strength is our connection to each other. 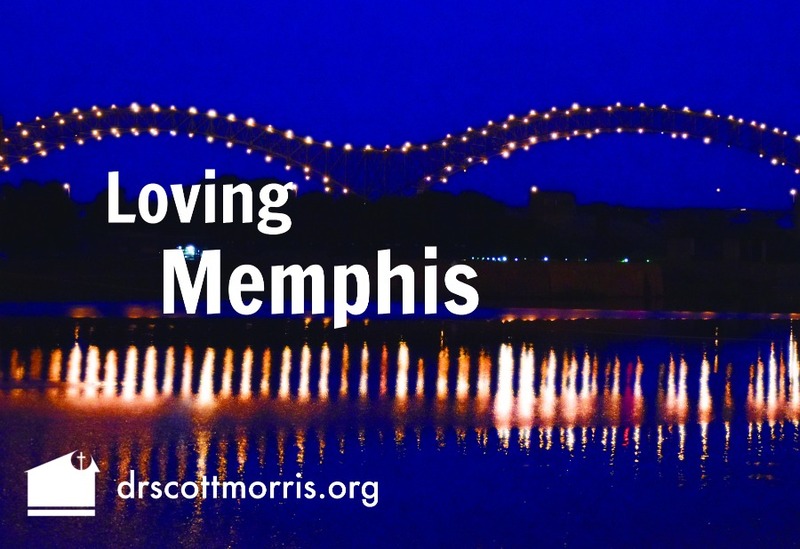 When I came to Memphis 30 years ago to start the Church Health Center, I was a stranger, relying completely on the goodwill of those around me to help establish our health ministry. Yet I was embraced and the Center has flourished. 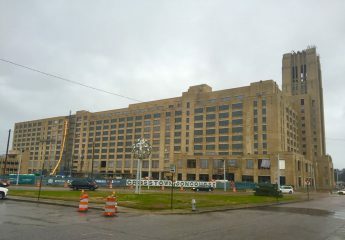 I often say that Memphis has two things in great abundance: poverty and religion. Both, I think, shape the fabric of our city and why I for one chose to call Memphis home. While great poverty is not something to strive for, its presence here makes us all grateful for what we do have. I am privileged to have spent years with people who have little material wealth but who have used their spiritual capital to find peace and strength of character in a complex world. Even if your answer is Temple Israel, “church” is just code for how you connect with something greater than yourself. I realize many among us believe they have a unique pathway to God, but I am so glad to live in a place where who I am is not just defined by what I have. While many will quickly point out that the river, our four seasons, and fishing and hunting and our sports teams make Memphis a desirable home on many levels, I chose to live here because I have found love and a true sense of purpose in this big small town. If you love Memphis, Memphis will love you. Are you in New York City? I encourage you to connect with Choose901 this week to learn more about making Memphis home. Click here to learn more. 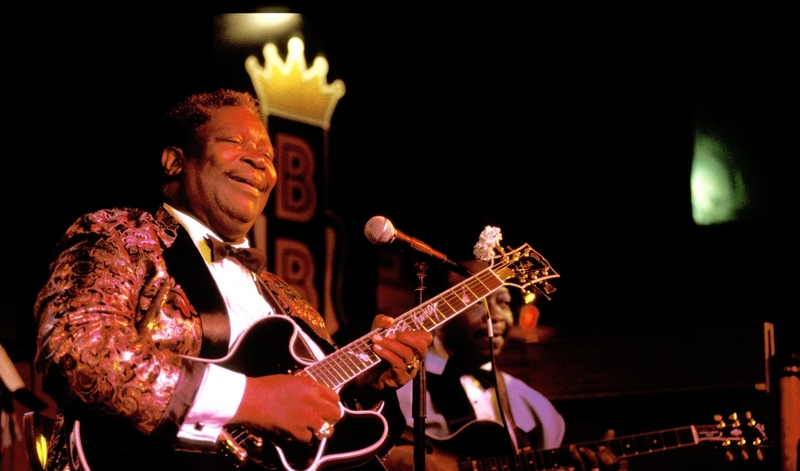 The world lost a friend last Friday when bluesman B.B. King passed away. Since being diagnosed with type II diabetes 25 years ago, B.B. showed his love to the Church Health Center’s home city of Memphis and was vocal about his type II diabetes, urging others to check their blood sugar levels often. I’m grateful for the many years of enjoyment that he gave people with his guitar “Lucille.” I only briefly met him once, but I could tell he was full of energy and loved life. During that meeting, he joked about the soft drink and fried foods he was eating. “I know this isn’t good for my diabetes, Doc”. It’s funny how people become hyper-aware of their health habits when I come around! But as I see it, King was like all too many men who view their diabetes as, simply, “the hand they were dealt.” In his view, there was little he could do about his diabetes, and he represented a disconnect between knowledge, fatalism and personal empowerment I see all too often among my own patients. The problem begins with the patient not fully understanding what diabetes is all about. “I have sugar” is how it is often expressed to me, and I have never fully understood what those words mean to people. It usually implies “I eat too many sweets,” but it is rarely connected to the effect of the microvascular disease consequences of diabetes. I usually describe adult-onset diabetes like this. Everything you eat, no matter what it is, is churned up in your stomach and turned into sugar. That sugar then goes into your bloodstream and is carried to all of the cells of your body. For the healthy patient, the body makes insulin that then grabs ahold of the sugar and pushes it into the cells. Once inside, the cells turn the sugar into energy, which is how we live. Diabetes is a disease where there is something wrong with your body’s insulin. We know this because when we prick your finger to measure how much sugar is in your blood, your sugar is staying in your blood rather than getting into the cells. Say I am trying to dig a hole and I hire a man to do the job. Only, it turns out he is lazy and just piddles around. What can I do to get the job done? One option is to hire several lazy men. Although their work ethic leaves much to be desired, if I hire enough of them they will eventually get the job done. This is effectively how most of our drugs work. Even though your own body’s insulin is “lazy”, the drugs tell it to make more insulin and if we get enough of it in the blood we can cause the insulin to push the sugar into the cells of your body. This is helped by eating the right foods and exercising. Most people seem to understand this analogy. What they don’t always appreciate is that the consequences of diabetes over time are permanent and devastating. Blindness, stroke, dialysis, and amputation are all-too-common outcomes. B.B. King was actually very lucky to live 25 years without these more serious consequences affecting him until late in his life. Others aren’t so lucky. Part of the tragedy of diabetes is that it affects the poor in more devastating ways because the lack of knowledge and access to medicine and healthy foods. 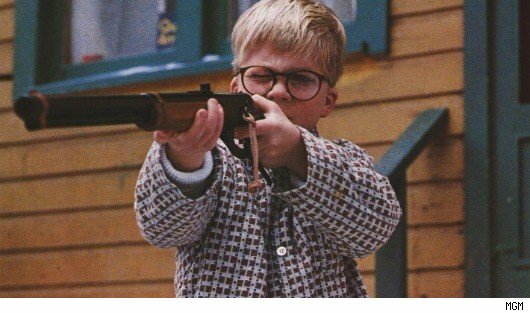 Even after his legs were amputated, my father’s best friend drank chocolate Yoo-hoos several times a day because “no one was going to tell him what he could do”. He died from a stroke when he was 63 years old. The good news is that for most people, diabetes is either preventable or manageable through diet, exercise, and the right medication. In the last 20 years, our knowledge of the disease has progressed tremendously. We now have dozens of effective treatment options, and we know much more about the role of diet in the prevention of the progression of the disease. Key to living with diabetes is an internal motivation to live a healthy life and avoid the foods and lifestyle choices we know are unhealthy. Yet in a world where we are surrounded by soft drinks, fried foods, and healthcare that isn’t focused on prevention, this is simply easier said than done. 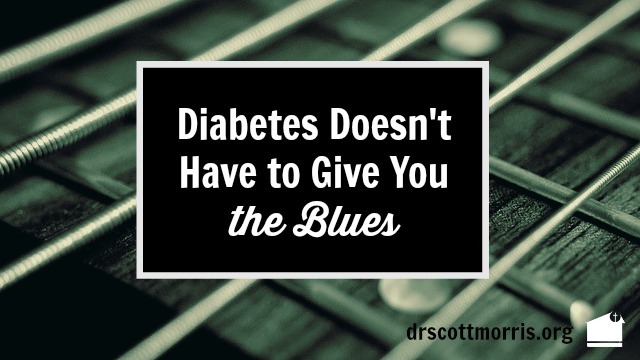 Diabetes is more than “a hand you were dealt.” It’s something that you can control and live beyond. Honor the memory of B.B. King by taking control of your diabetes today. 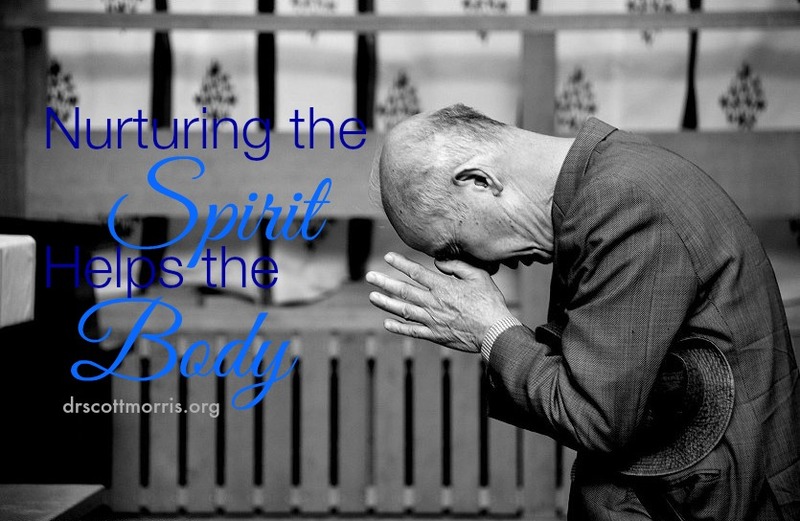 For all my years as a doctor, I have encouraged people to realize that the spiritual dimension of our lives affects our health as much as the physical limitations of our bodies and the ever-present fear of disease and aging. That point is not exactly accurate. Christian Science was founded by Mary Baker Eddy in the nineteenth century and first described in her 1875 book, Science and Health. Throughout her life, Mrs. Eddy had a series of physical ailments. In order to make sense of her experiences, she developed a belief system whereby the spiritual world is the only reality and the material world is an illusion. This means that sickness and death are illusions caused by mistaken beliefs. Rather than conventional medicine, in Christian Science the best treatment for those who are sick is a special form of prayer intended to correct their mistaken beliefs. In Mrs. Eddy’s defense, she lived at a time when a great deal of the practice of medicine had no scientific basis and quackery thrived. Avoiding purgatives, bleeding and potions actually was smart medicine. While the denial of physical existence does not fit my own personal belief system, Dr. Tabor has found the ability to be at peace in practicing orthopedic surgery for 50 years while being married for even longer to an active practitioner of Christian Science. When they first met, he was thinking of going to medical school. They were already falling in love before they discussed each other’s religious beliefs. When the Tabors had children, they sent them to Christian Science Sunday school until they were 12. Then the children decided on their own what they would do. The two girls became Christian Scientists, while one boy became a Presbyterian and the other an Episcopalian. Margaret believes it was because of her encouragement that their eldest son, Owen, Jr., also became an orthopedic surgeon. She told him to follow his heart, which he did. His father didn’t know his plan for another two years. In preparing to write this article, I read far more about Christian Science than I have in years. I confess I find its basic tenets difficult to accept. Mrs. Eddy and I would disagree on the relationship between body and spirit and the reality of disease. Yet, what I embrace about Christian Science is the understanding that there are serious limitations in the modern day pills and potions we try to sell to people. The recently published report of research showing that multivitamins have little benefit is just the tip of the iceberg. In addition, Mrs. Eddy’s teachings point to a spiritual dimension to life that must be nurtured for improved health. On this point, I could not agree more. This post first appeared in The Commercial Appeal on Jan. 6, 2014. When was the last time you really put yourself in someone else’s shoes? This was the question that was on my mind after a recent weekend of golf. A few months ago, I was invited to spend two days at an exclusive country club. I heartily accepted. After all, how many opportunities do you get to putt on a completely weed-free course? Several groups came from all over the country to play together, and I was fortunate enough to have in my group Stan Smith. Stan is a famous tennis player who, despite winning Wimbledon in 1972, is perhaps best known for the Adidas tennis shoes that bear his name. Playing a pristine course with an athlete who actually has shoes named after him? The weekend promised to be a great one. Over the years, I have met a number of well-known athletes. Most of them have spent many years being told how great they are (or were), and their accolades have more often than not gone to their heads. Not so with Stan Smith. He is a very kind, gentle, soft-spoken man who reminded me of Paul from the 60’s folk group Peter, Paul, and Mary. And not surprisingly, he was a good golfer. On the first hole, he made a putt. As I pulled the ball out of the hole to hand it back to him, I glanced at the ball and noticed that it had the number “72” printed on it. Stan noted my puzzlement. “Have you even seen that on a ball before?,” he asked me. Usually, the number on a golf ball is 1, 2, 3, or 4, but never 72. I told him that I hadn’t, and then I asked him if that was his age. Of course it was. Silly me. He just laughed and we played on. Later that evening, Stan told me the story of the first time he played Wimbledon. The year was 1971, and he was a 19-year-old rising American star playing tennis at the international level for the first time. Unlike some elite athletes who are handed a racquet or a golf club or a baseball when they are still in diapers, Stan did not start playing tennis until he was 14. All through his childhood, he played every sport he could, focusing on not one in particular. In fact, he had only heard of Wimbledon only a few years before he actually played there. Only minutes before Stan was scheduled to play on one of the back courts at Wimbledon, there was a change of plans: he would be playing on the center court. His opponent would be another 19-year-old, the ranking tennis champion of Great Britain. That day, the center court was packed with more than 10,000 people. Stan’s opponent had an entire country pulling for him, and he was on his home court. Surely Stan had no chance of winning, right? Still, he bucked up his courage and played his best that day. What he didn’t realize was that his opponent had dreamed of playing Wimbledon’s center court since he could walk. He felt the weight of his entire country on his back, and as a result, he wilted. The very thing that Stan viewed as his opponent’s advantage was what held him back from coming out the victor that day. Needless to say, Stan won the match early. He would go on to win the entire Wimbledon tournament the next year. As Stan told me this story, I was struck with how we often feel the pressure we place on ourselves without realizing what others around us are feeling. Our self-focus makes us oblivious to others’ struggles, and we need to be reminded that the world does not revolve around us. Perhaps we must reevaluate the role empathy – our capacity to truly understand the thoughts and emotions of others – plays in our lives. We tend to put on empathy only when we see a friend or family member experiencing loss or misfortune. How many times have you signed a card bearing the words “With Sympathy” on your way to a funeral or wake? However, empathy should be the lens through which we see the world every day, not just during times of loss. God has made us for relationships. He wants us to experience the goodness and fullness of life by entering into communion with one another. When we close ourselves off either physically or mentally from others, we’re denying that empathy, and that can’t possibly be good for our health. We need help. We need others to encourage us when we despair, pick us up when we fall, and walk alongside us when we tire. And we need to be there for others when they need that support. 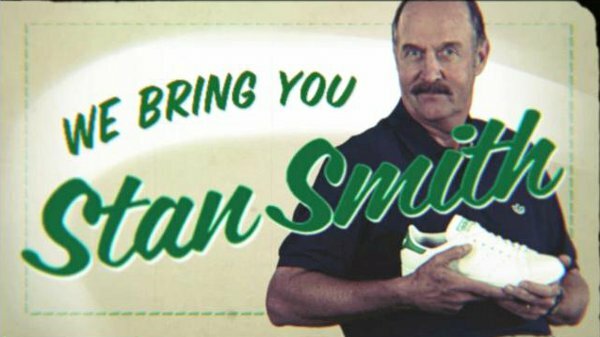 That day on center court at Wimbledon nearly 45 years ago, Stan Smith learned that the world doesn’t revolve around him, and he’s carried that lesson with him ever since. I think that’s pretty profound for a 72-year-old – that is, 67-year-old – tennis player. Whether we have tennis shoes named after us or not, we can all benefit from caring just as much about others as we do about ourselves.